Now when Jesus came, he found that Lazarus had already been in the tomb four days. Bethany was near Jerusalem, about two miles off, and many of the Jews had come to Martha and Mary to console them concerning their brother. So when Martha heard that Jesus was coming, she went and met him, but Mary remained seated in the house. Martha said to Jesus, “Lord, if you had been here, my brother would not have died. But even now I know that whatever you ask from God, God will give you.” Jesus said to her, “Your brother will rise again.” Martha said to him, “I know that he will rise again in the resurrection on the last day.” Jesus said to her, “I am the resurrection and the life. Whoever believes in me, though he die, yet shall he live, and everyone who lives and believes in me shall never die. Do you believe this?” She said to him, “Yes, Lord; I believe that you are the Christ, the Son of God, who is coming into the world” (vv. 17-27). In the Gospel of John, John records seven of Jesus’ miracles. He calls these miracles “signs” because they showed that Jesus is the Christ (i.e., the Messiah). Near the end of his gospel, John writes, “Jesus did many other signs in the presence of the disciples, which are not written in this book; but these are written so that you may believe that Jesus is the Christ, the Son of God, and that by believing you may have life in his name” (20:30-31). The raising of Lazarus is the final and ultimate sign that Jesus is the Christ. Jesus loved his friends Martha, Mary, and Lazarus (vv. 3, 5, 36), yet Lazarus died. Verses 5 and 6 seem to be contradictory: “Now Jesus loved Martha and her sister and Lazarus. So, when he heard that Lazarus was ill, he stayed two days longer in the place where he was” (vv. 5-6). Why didn’t Jesus immediately travel to Bethany to heal Lazarus? When Jesus finally arrived in Bethany, both Martha and Mary said to Jesus, “Lord, if you had been here, my brother would not have died” (vv. 21, 32). Being loved by Jesus does not eliminate sorrow from our lives. However, every difficult circumstance gives us an opportunity to glorify God. When Jesus heard that Lazarus was ill, he said, “This illness does not lead to death. It is for the glory of God, so that the Son of God may be glorified through it” (v. 4). When Jesus arrived in Bethany, “Lazarus had already been in the tomb four days” (v. 17). 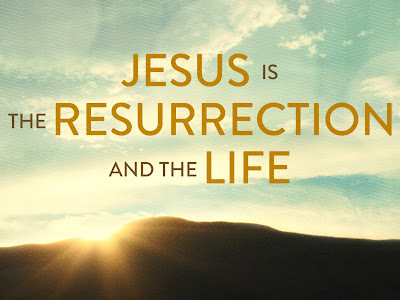 R. C. Sproul writes, “The fact that Lazarus had been buried for four days may seem like an insig-nificant detail, but it helps us get at the reason for Jesus' delay in going to Bethany. Among the rabbinic teachings in Jesus’ day was the idea that when a person died, the person's spirit hovered over the body for three days, and if, somehow, the body was resuscitated, the spirit returned to it. But according to the rabbinic tradition, the spirit departed after three days and the body was beyond all hope of resuscitation at that point. In light of this teaching, it seems likely that Jesus wanted to get to Bethany after the three days had passed so that, once He had raised Lazarus from the grave, the Jewish authorities could not say Lazarus' spirit had been lingering and his body had merely been resuscitated. By delaying His return, Jesus let enough time pass to make it absolutely certain that the raising of Lazarus was completely against nature and could not be seen as anything other than a miracle” (John, p. 204). Like Martha, we too are looking forward to a future resurrection day: “The Lord himself will descend from heaven with a cry of command, with the voice of an archangel, and with the sound of the trumpet of God. And the dead in Christ will rise first. Then we who are alive, who are left, will be caught up together with them in the clouds to meet the Lord in the air, and so we will always be with the Lord” (1 Thess. 4:16-17). “We shall not all sleep, but we shall all be changed, in a moment, in the twinkling of an eye, at the last trumpet. For the trumpet will sound, and the dead will be raised imperishable, and we shall be changed. For this perishable body must put on the imperishable, and this mortal body must put on immortality. When the perishable puts on the imperishable, and the mortal puts on immortality, then shall come to pass the saying that is written: ‘Death is swallowed up in victory.’ ‘O death, where is your victory? O death, where is your sting?’” (1 Cor. 15:51-55). But all who are in relationship to Jesus through faith have eternal life right now. One interpretation of Jesus’ statement “takes the first half of Christ’s words physically and the second half spiritually. It would give us a meaning something like this: ‘He would believes in me, even though he should die physically, yet he will live physically [that is, there will be a final resurrection]. And whosoever is spiritually live and believes in me shall not die spiritually’” (James Montgomery Boice, John, vol. 3, p. 853). In the original Greek, Jesus’ words read like this: “Whoever lives and believes in me will absolutely never die” (Gary M. Burge, John, p. 317). Faith in Jesus brings eternal life now and resurrection life later. Verse 35 says that when he came to the tomb of Lazarus, “Jesus wept.” “Jesus joins his friends’ sadness with heartfelt sorrow, yet underlying it is the knowledge that resurrection and joy will soon follow. Jesus’ example shows that heartfelt mourning in the face of death does not indicate lack of faith but honest sorrow at the reality of suffering and death” (ESV Study Bible, p. 2046). The death and resurrection of Lazarus foreshadow the death and resurrection of Jesus. (Of course, one big difference is that, unlike Jesus, Lazarus eventually died again.) The death and resurrection of Jesus provide hope to all who trust in him. Jesus asked Martha, “Do you believe this?” (v. 26). You must decide whether or not you believe that Jesus is the resurrection and the life. Harry Houdini is considered to be the greatest escape artist of all time. In the early 1900s, he fascinated the world with his performances. He would free himself from straitjackets, handcuffs, chains, and ropes. As he grew more popular, his escapes became more daring. He escaped from being buried alive, from being immersed in water inside a coffin, and from a water torture chamber. It seemed Houdini could escape anything. Nothing could hold him down. As he was nearing death, Houdini told his wife that, if possible, he would communicate to her from the other side. He thought if anyone could escape death, he could. Houdini died on Halloween 1926. And for ten solid years, his wife held on to the hope that her beloved husband would communicate to her, that he could somehow escape death as he had escaped everything else. Hearing nothing, like always, the host turned to Houdini’s wife and asked for her response. She replied, “Houdini did not come through. My last hope is gone. I do believe he cannot come back to me or to anyone. It is finished. I turn out the light” (story taken from Creature of the Word, p. 117). What Houdini could not do, Jesus has done. He has escaped death. He is the resurrection and the life. In him there is hope. Do you believe this?